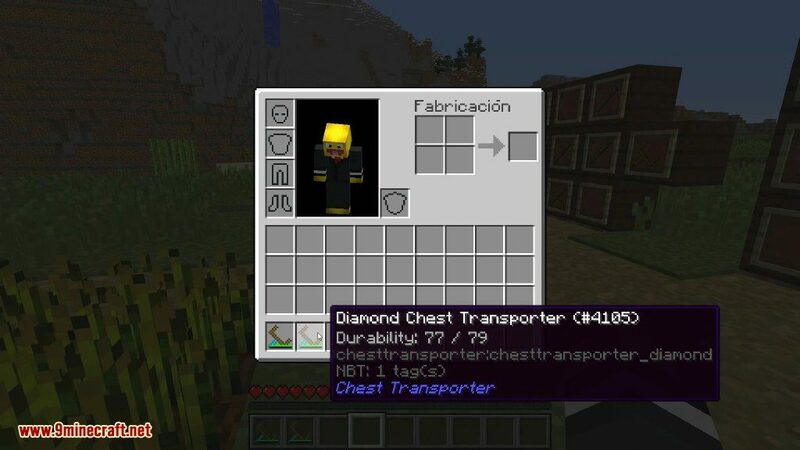 Chest Transporter Mod 1.12.2/1.11.2 adds a new item to the game: Chest Transporter. 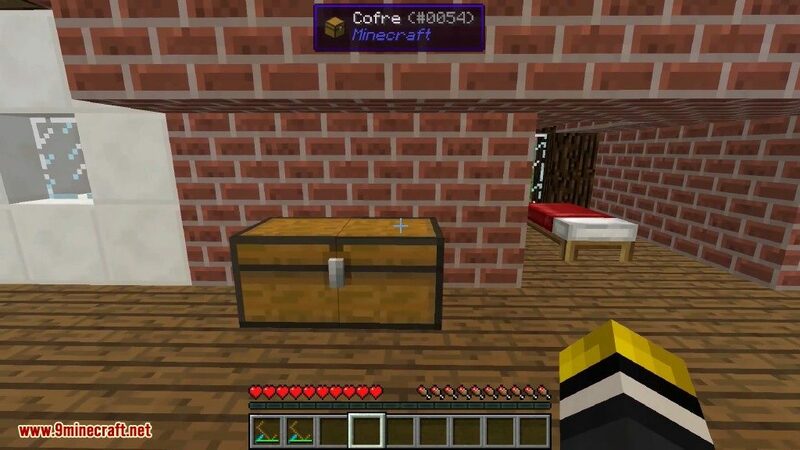 This item allows you pick up a chest with content and place it somewhere else. 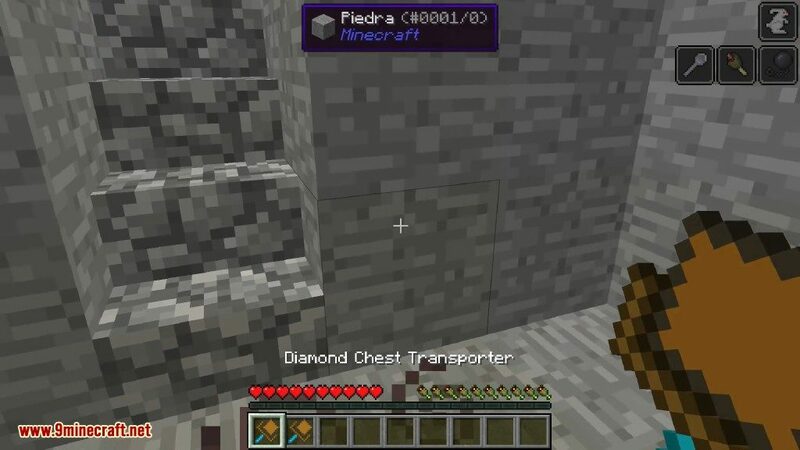 You can also pick up chests from a storage minecart and place it in a normal minecart. 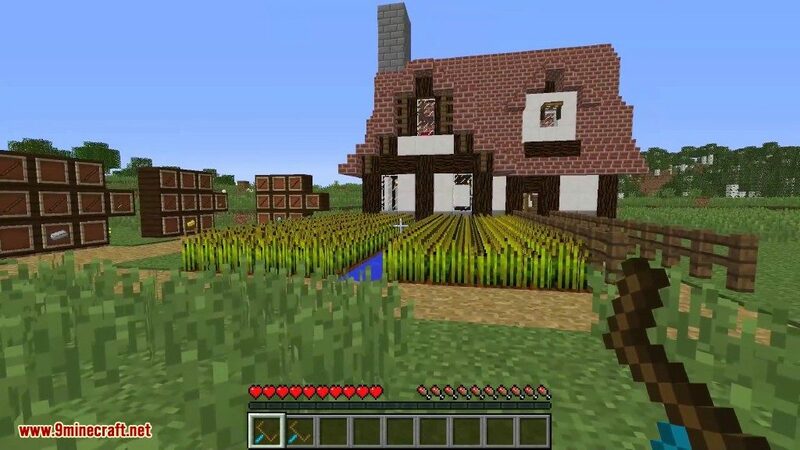 But while you have a chest in your inventory, you dig and walk slowlier, have more hunger and can not jump over one block. 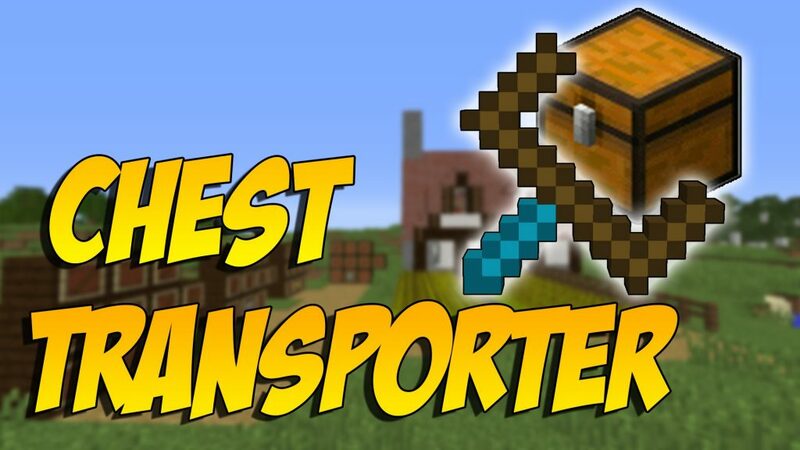 It can only be used once and is used to transport a chest and all of its contents to another location. 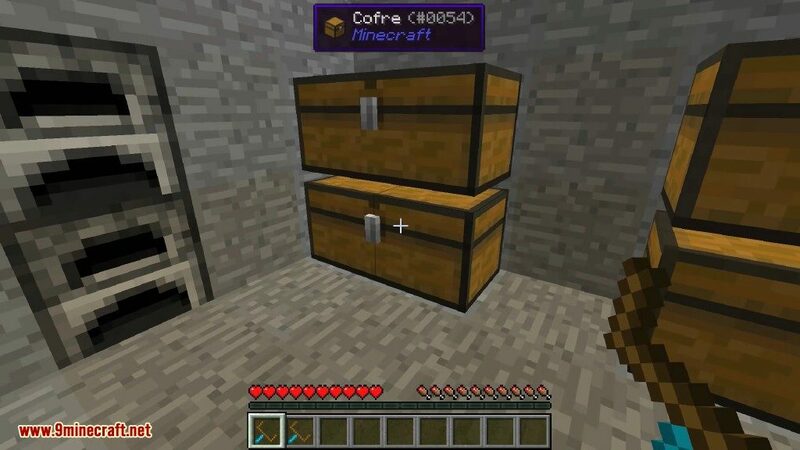 It will not work on any chest besides the vanilla Chest. 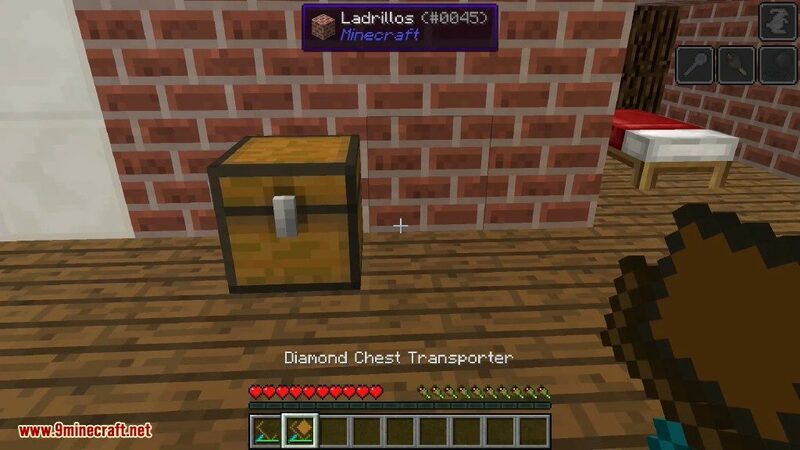 Placing the Chest Transporter (with a held chest) in a Bag, Knapsack, or Backpack prevents the player from suffering the debuff effects, as they only affect the player whose inventory contains the in-use transporter. This may be useful for faction raiding in servers.